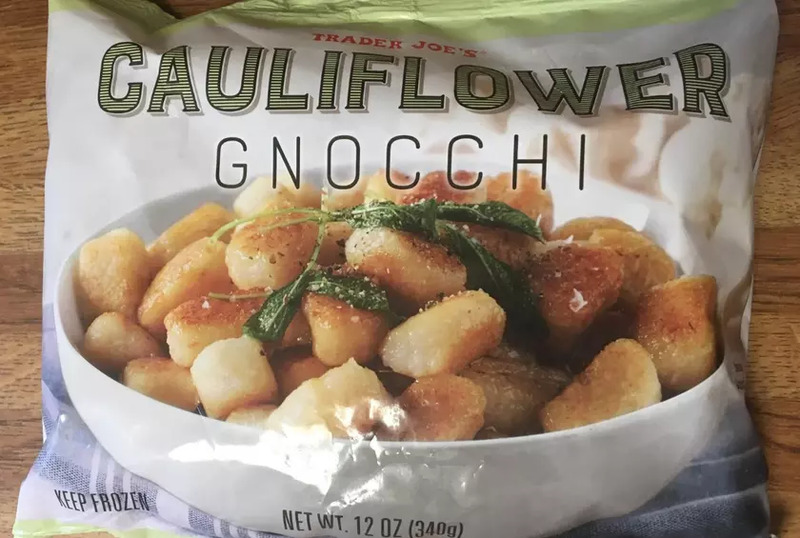 I just discovered a really delicious Trader Joe's frozen pizza that has a crust made of cauliflower. I also am a big fan of the salad mix that has shredded broccoli, kale, seeds and dried cherries. It comes in a bag in the salad section. Curious to know anyone else's favorites to add to my list of things to try. I also am a big fan of the salad mix that has shredded broccoli, kale, seeds and dried cherries. It comes in a bag in the salad section. Curious to know anyone else's favorites to add to my list of things to try. The salad sounds delish. Dried cherries are my absolute favorite thing to eat. If anyone wants to make the salad at home, DCs can be bought at Key Fresh on Queens Blvd @46th St. Doubtful you could find them in JH, altho I used to get them at the previous grocery store in the Jackson Heights Shopping Center. I buy them in the City on the UES (Grace's) for the sake of convenience, but they are expensive. A long time ago I loved TJs champagne salad dressing, but it was discontinued. It was so light. What dressing are you using? They might have dried cherries at the Downtown Natural market on 84th/37th. I haven't checked for that item, but they do have a lot of bulk items. This is the salad. It comes with its own dressing. Their little frozen peas are very good, and the frozen blueberries I keep on hand for the times of dearth for fresh ones are very acceptable, both better price than the local supermarkets. Their own brand triple-crème brie. One of the very few places that sells heavy cream that's pasteurized but not ultra - I use it to make crème fraiche. Good question! I love their Thai Chili Lime cashews, their Bolognese pasta sauce, and their gorgonzola gnocchi. I like to buy walnuts and other nuts at Trader Joe's because the price is usually lower than at your average supermarket. Also, I like TJ's packaged almond meal. It's great for almond meal chocolate chip cookies! Pro tip: The chili lime cashews Dodger mentioned are awesome when sauteed with chicken and veggies. The chicken balti pot pies are great. And in December the big bottle of Vintage Ale is great if you like Belgian beers. Maybe it's just me, but I feel like the nuts at the local south asian markets all taste like plastic because of the way they are packaged. Their imported EV olive oil and ghee are both priced well. The individual serving-size goat cheeses are handy for packing in lunches. There's a bottled peanut dressing in the produce section that when poured over pasta and chilled tastes like cold sesame noodles. In the frozen veggies section, the roasted potatoes with onions and peppers are great for with eggs for breakfast. TJ brand greek yogurt tastes just like FAGE, for less $. Dried mango is a nice, all natural snack. And the coffee beans are well-priced. Wish we had a TJs closer by. The packaged nuts at Patel or other South Asian stores are mostly raw and intended for cooking or grinding for spice pastes / mixes. If you roasted them they would taste different (esp the cashews, which are kind of plastic-like when raw). Here's one that I can vouch for. I haven't purchased it yet but tried a free sample at the store. Also they sell the awesome VT cheesemonger Jasper Hill products at great prices. Another soft cheese recommendation: We loved the JH Harbison as a more affordable substitute for Rush Creek reserve by Upland cheese.